Abbas's spokesman demands that Netanyahu stop "settlement construction" and accept French initiative in order to resume talks. The Palestinian Authority (PA) is once again setting preconditions for any peace talks with Israel. 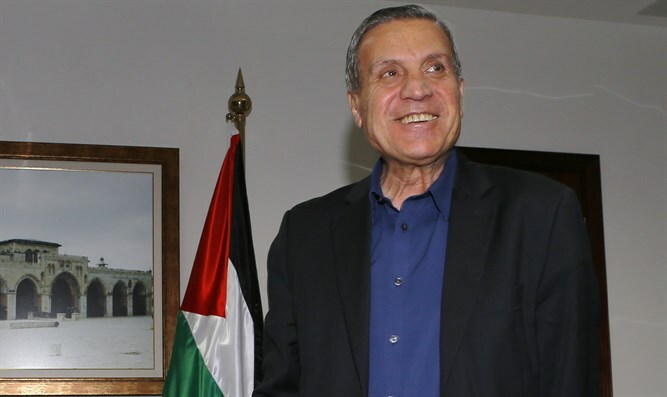 Nabil Abu Rudeineh, PA chairman Mahmoud Abbas’s spokesman, on Wednesday dismissed Prime Minister Binyamin Netanyahu’s statement that he is willing to resume peace talks, given that he intends to build 500 new housing units in eastern Jerusalem. He was likely referring to plans made public on Wednesday for 500 new homes in the mostly haredi north Jerusalem neighborhood of Ramat Shlomo. "If Netanyahu is serious about his comments, he must announce the end of the settlements, recognize the two-state solution and agree to participate in the international peace conference that France wants to convene by the end of the year," Abu Rudeineh declared. He further said that the “illegal settlement” does not help to promote peace, nor do the latest Israeli measures such as the “Regulation Law” and “Muezzin Law”. The demand that Israel accept the French peace initiative as a precondition to talks is a new one from the PA.
France’s initiative aims to convene an international peace conference by the end of the year. Israeli officials recently reiterated Israel’s firm opposition to the initiative, as Israel insists that the only way to achieve peace is through direct talks with the PA, which the PA refuses. In fact, the PA has continued to impose preconditions on peace talks, including demanding that Israel halt construction in Judea and Samaria, release terrorists from its prisons and agree to a timeline of no more than a year for talks.